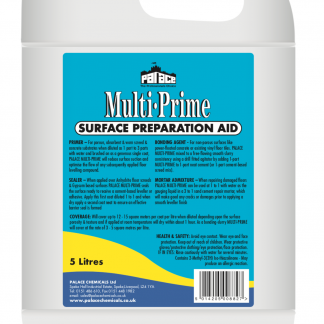 PALACE MULTI-PRIME is a styrene butadiene co-polymer emulsion for use as a primer and sealer to improve the receptiveness of a receiving substrate by either priming, stabilising or sealing prior to the application of a Palace Self-Levelling compound. 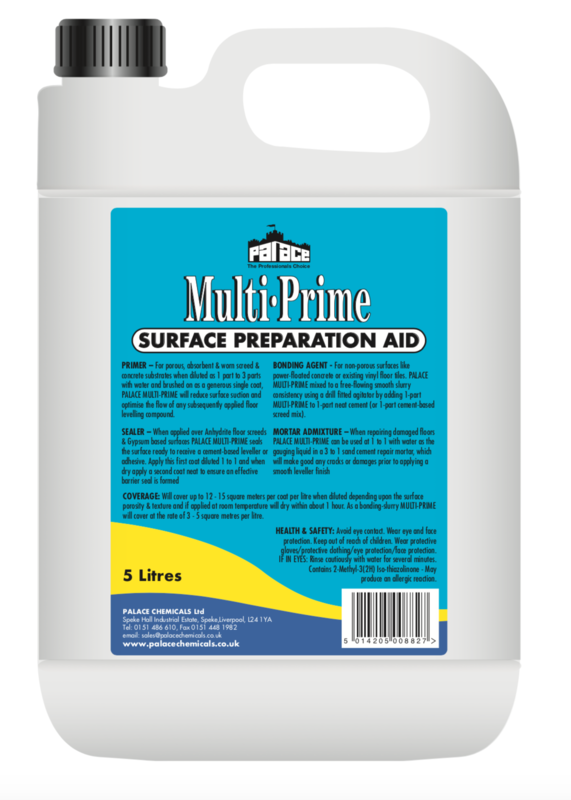 PALACE MULTI-PRIME increases the adhesion and prolongs the flowable working time of a leveller, whilst also improving initial coverage and reducing the occurrence of pin-holes. 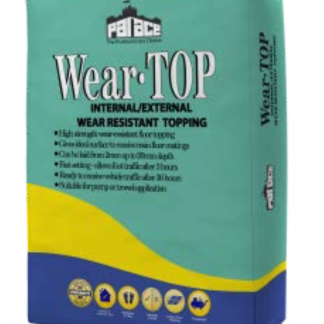 It can be used on both porous and non-porous surfaces, internally and externally and will assist with optimising adhesion strength and the long-term durability of the bond to the surface substrate. 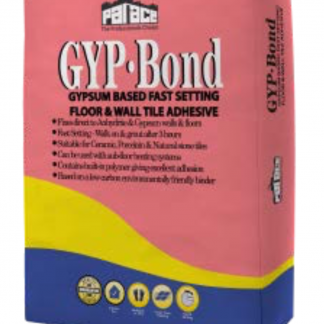 PALACE MULTI-PRIME applied over a pre-existing Calcium Sulphate (Gypsum / Anhydrite) floor screed gives a barrier at the cement to gypsum bond interface which prevents any subsequent adverse reaction between the two chemically different compounds. 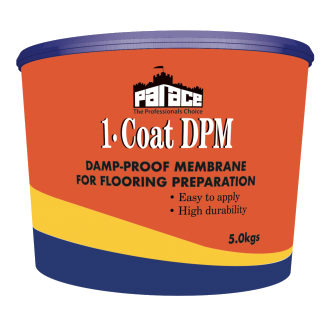 PALACE MULTI-PRIME can used as a water-proof bonding agent when mixed as a slurry with neat cement and can readily be incorporated into sand cement repair mortars, giving a water reducing & plasticising effect, improving compressive strength and adhesion of the mortar to the existing base masonry. Multi-Purpose primer, sealer & bonding agent. 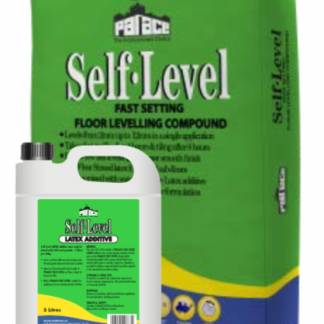 Improves flow time and reduces pin-holing in floor levelling treatments. 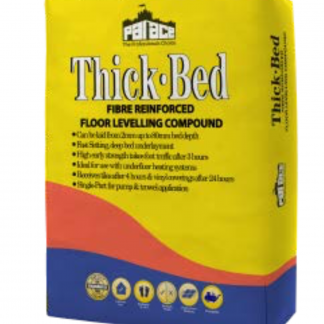 Mixes with neat cement to give a reliable bond to highly impermeable surfaces.